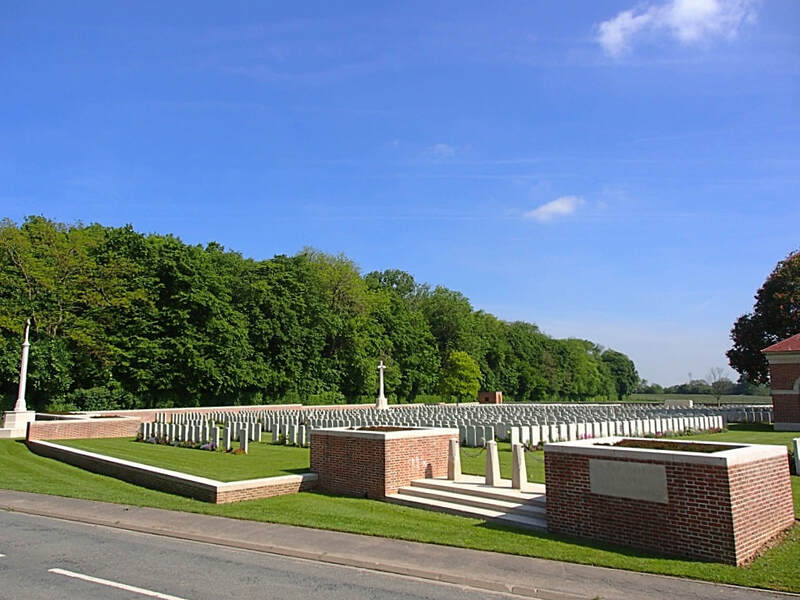 Tilloy-lès-Mofflaines is a village 3 kilometres south-east of Arras, on the south side of the main road to Cambrai. 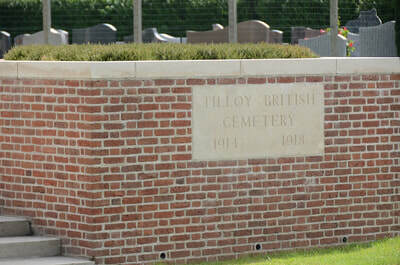 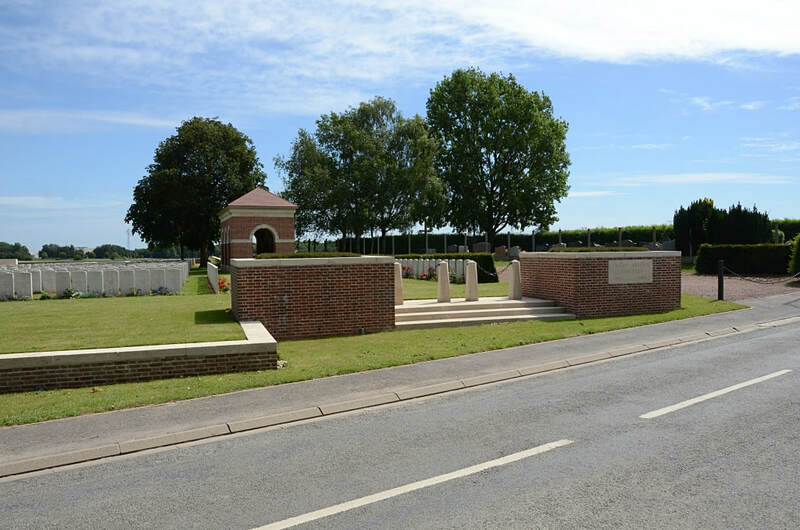 Tilloy British Cemetery is south-east of the village on the north-east side of the road to Wancourt, the D37. 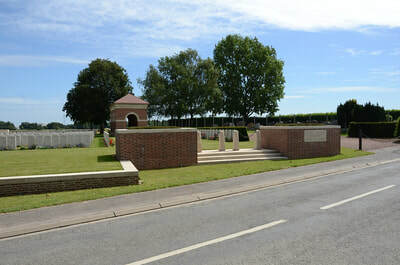 Wheelchair access to this site is possible by an alternative entrance. 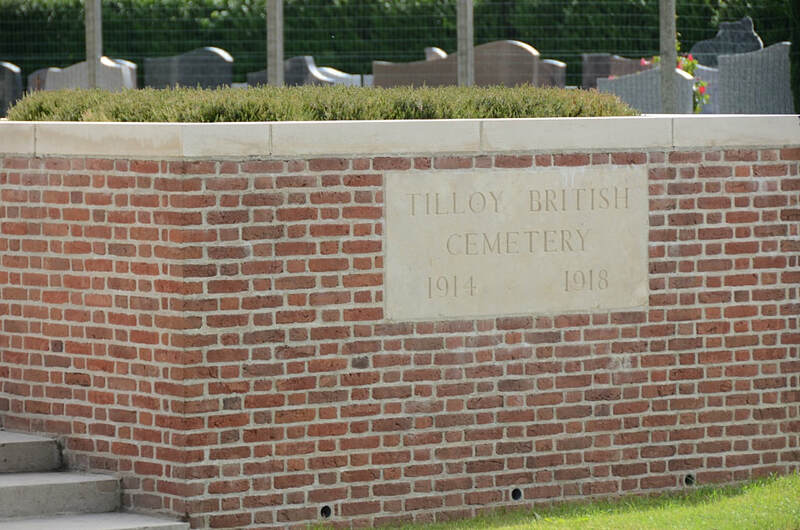 Tilloy-Lès-Mofflaines was taken by Commonwealth troops on 9 April 1917, but it was partly in German hands again from March to August 1918. ARTILLERY TRACK CEMETERY, ARRAS, in which were buried 39 soldiers from the United Kingdom who fell on the 9th and 10th April 1917; CHAPEL ROAD CEMETERY, WANCOURT, midway between Feuchy Chapel and Neuville-Vitasse, where 34 soldiers from the United Kingdom were buried in April 1917; HARP REDOUBT CEMETERY, TILLOY-LES-MOFFLAINES, close to a German fort on the South side of the village which was taken by the 14th (Light) Division and Tanks on the 9th April 1917. 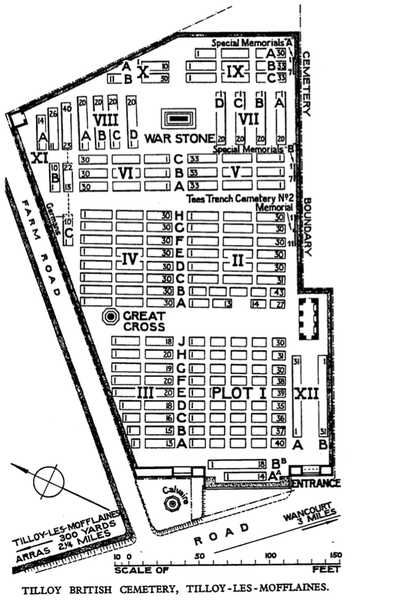 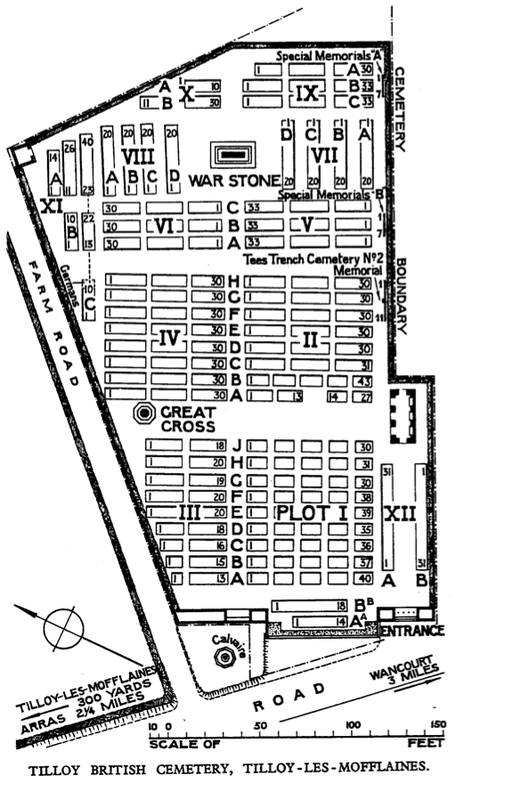 The cemetery contained the graves of 36 soldiers of the K.R.R.C. 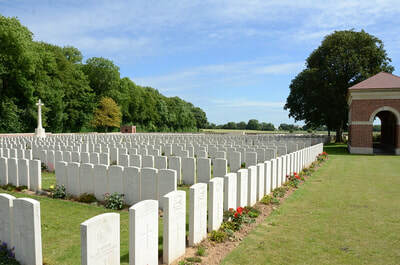 and 51 others from the United Kingdom; MAISON-ROUGE BRITISH CEMETERY, TILLOY-LES-MOFFLAINES (near a house on the main road to Cambrai), which contained the graves of 89 soldiers from the United Kingdom, 14 from South Africa, one from Canada and one from New Zealand, and 13 German soldiers. 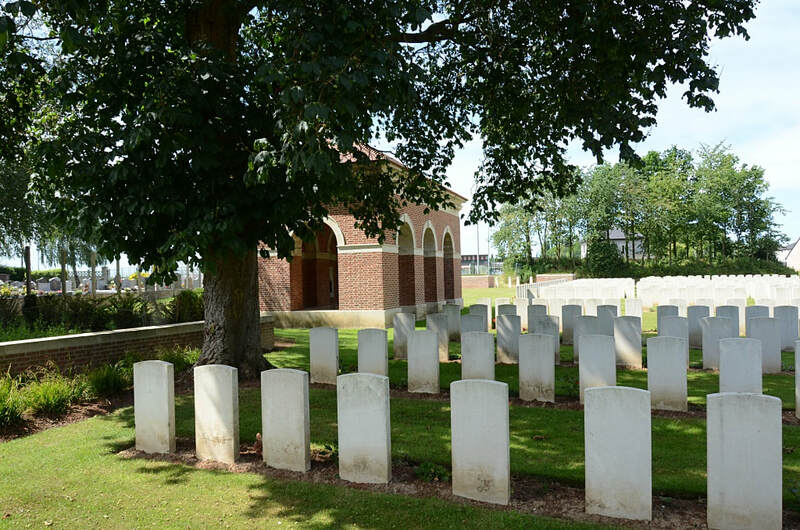 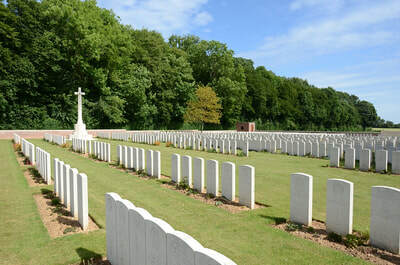 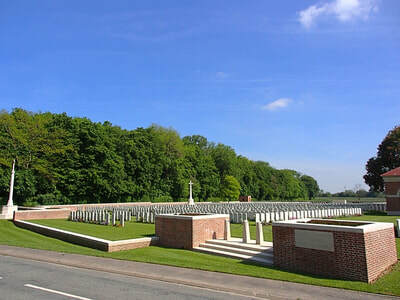 This cemetery was used in 1917 and again in March, April and August 1918; TEES TRENCH CEMETERIES No.1 and No.2, ST. LAURENT-BLANGY (near the road to Bailleul), in which were buried 32 soldiers from the United Kingdom who fell, with two exceptions, on the 9th April 1917; TELEGRAPH HILL BRITISH CEMETERY, NEUVILLE-VITASSE, on the South-Western slopes of the hill between Tilloy and Neuville-Vitasse, captured by the 14th Division on the 9th April 1917. 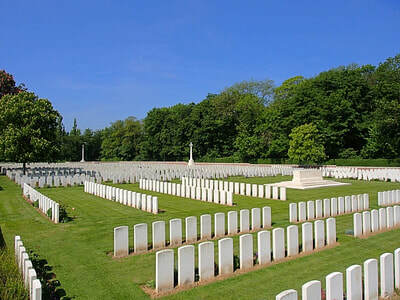 The cemetery contained the graves of 147 soldiers from the United Kingdom, almost all of whom belonged to the 14th Division and fell in April 1917; TILLOY WOOD CEMETERY, on the Western side of the village, containing the graves of 80 soldiers from the United Kingdom who fell in April 1917; WHITE HOUSE CEMETERY, TILLOY-LES-MOFFLAINES, close to a house on the Cambrai road, contained the graves of 22 soldiers from the United Kingdom who fell on the 11th-12th April 1917. 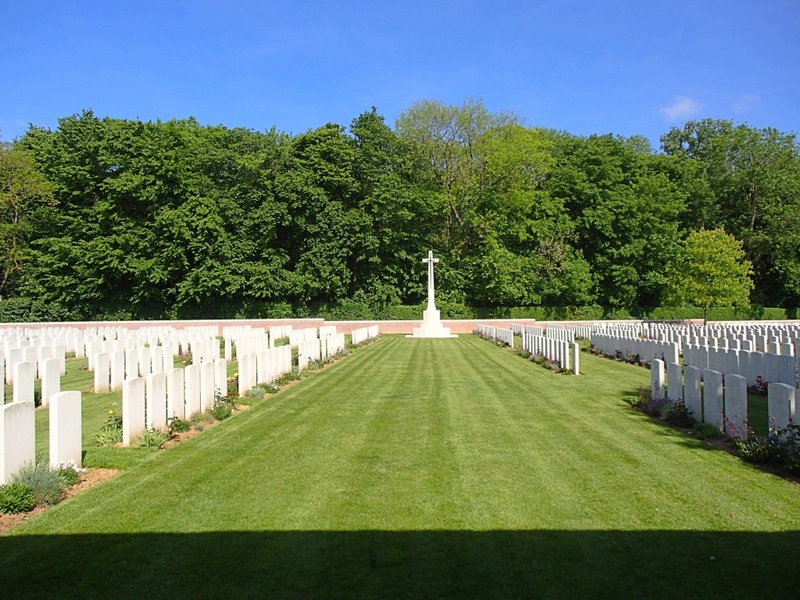 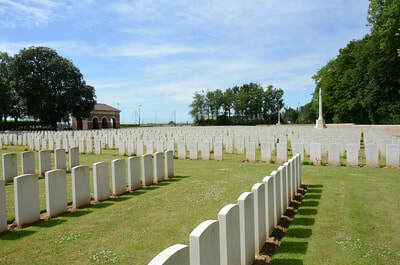 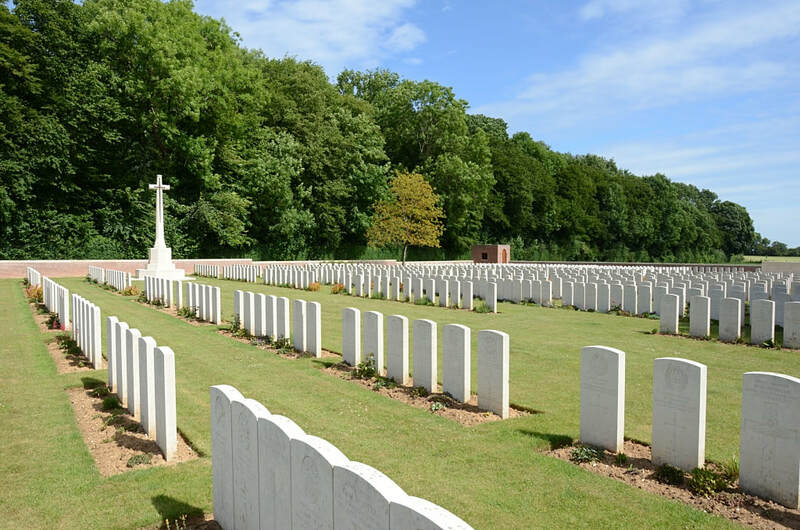 The cemetery now contains 1,642 Commonwealth burials and commemorations of the First World War. 611 of the burials are unidentified, but there are special memorials to 14 casualties known or believed to be buried among them. 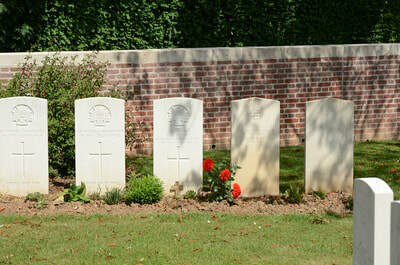 Other special memorials commemorate 11 men of the 6th Bn. 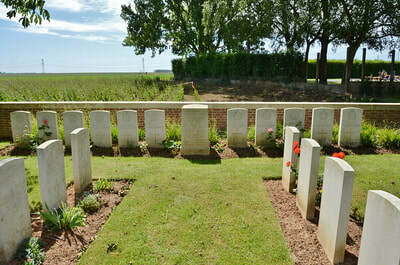 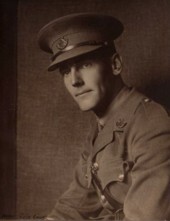 K.O.S.B., buried in Tees Trench Cemetery No.2, whose graves were destroyed by shell fire.